The banking sector failed to meet the priority-sector lending (PSL) targets overall, revealed data released by the Reserve Bank of India (RBI). The banks also failed to meet targets of specific sectors such as agriculture and micro, small and medium enterprises (MSMEs). While PSBs met their PSL target for agriculture of 18 per cent, private banks and foreign banks failed to meet the targets at 16.2 per cent and 16.7 per cent, respectively. 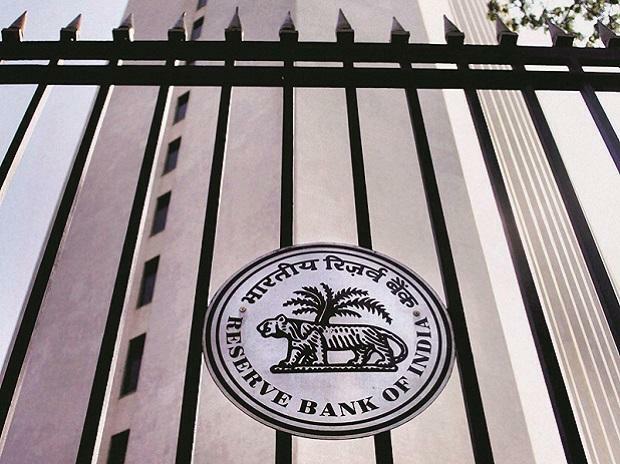 “Bank credit to agriculture decelerated during 2017-18, partly reflecting the pervasive risk aversion and debt waivers by various state governments, which may have dis-incentivised lending to the sector,” said the RBI. The year-on-year growth in agricultural lending stood at 3.8 per cent during 2017-18, against 12.4 per cent during 2016-17. The total number of operating kisan credit cards also fell marginally during the year. The gross non performing asset ratio (GNPA) for the agriculture sector went up in financial year 2018-19, possibly reflecting debt waivers by several states. The asset quality for agricultural loans worsened during the first half of 2018-19. The GNPA ratios are expected to widen with more farm loans waivers. The share of priority sector NPAs in of the total declined marginally during 2017-18 but it still constituted a fifth of the total NPAs. Agricultural NPAs and MSME NPAs comprise 8.6 per cent and 9.5 per cent of the total NPAs in the banking sector, respectively, as on March 2018. While lending to agriculture and MSMEs comprised 13 per cent and six per cent respectively of the total bank credit outstanding at the end of March 2018. Priority sector credit growth, however, recovered in 2017-18, largely driven by a recovery in credit to MSME, said the central bank. 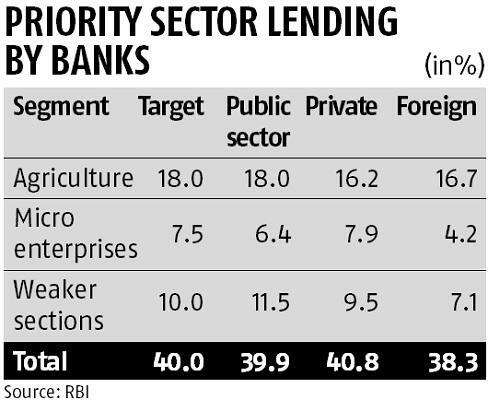 The first half of 2018-19 saw public sector banks (PSBs) and private banks meeting the overall priority sector lending target. However, shortfalls were observed in certain sectors and sub-sectors in the case of both PSBs (micro-enterprises) and private banks (total agriculture, small and marginal farmers; non-corporate individual farmers; and weaker sections). As banks struggle to meet PSL targets, priority sector lending certificates (PSLCs), which allows sale of PSL obligation, have gained traction. According to central bank data, PSLCs trading volume increased by 270 per cent to Rs 1.8 trillion in 2017-18, up from Rs 49,800 crore in the previous year. In H1 of 2018-19, trading volume more than doubled from the level a year ago. PSBs and private banks are major buyers and sellers of PSLCs; however, if buying and selling is netted, private banks and foreign bankers emerge as major buyers and PSBs, rural regional banks, and small finance banks as major sellers, said the RBI.